Five Wanderers participated in two Tri’s (Rhode Island Half Ironman 70.3 & Diamond in the Rough) recently. Read the race reports by Polly and Sharon of their respective events. On Sunday, July 13, Wanderer’s Sharon Schmidt and Alex Ochman participated in the inaugural Rhode Island 70.3 Ironman triathlon, consisting of a 1.2-Mile swim, a 56-Mile bike and a 13.1-Mile run. With 1, 267 athletes officially starting the race, Sharon and Alex both raced strongly finishing in 4:55.17 and 4:36.41, respectively. 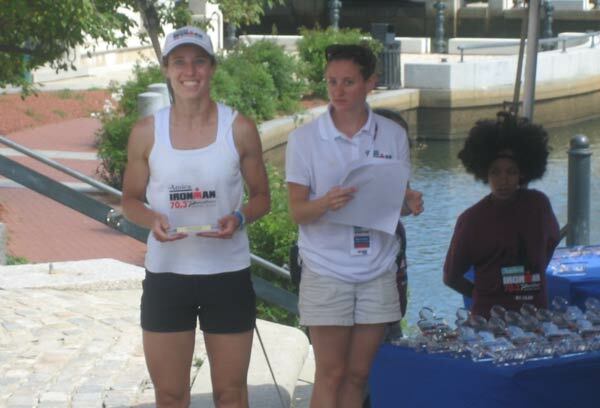 With a 1st place (14th overall women) and 3rd place (57th overall male) age group win, respectively, they both secured slots to November’s Ironman World Championship 70.3 in Clearwater, FL. With sunrise just before the start of the race, it was a good race day. 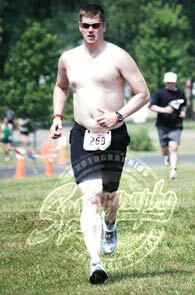 Temperatures were warm but not oppressive and there was an occasional, gentle breeze and some shade along the run. Thankfully the ocean swim was held in protected waters so the waves were manageable. However, for those not familiar with Rhode Island, it is not a flat State! We were greeted with many climbs along the bike course and a very steep hill, which we conquered twice, during the run. 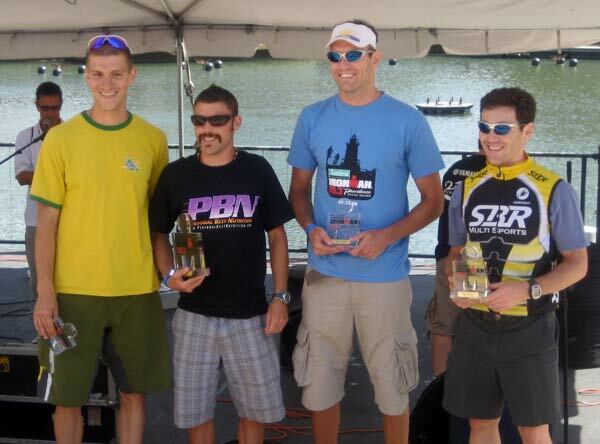 Even with separate swim-bike and bike-run transition areas, the race was a good, challenging event. On Saturday, July 12 Wanderers Matt Mauren, Chris Verry & Polly Jansen took on the Diamond in the Rough Triathlon in Perryville, MD. The unique distances were a 1 mile swim, 27 mile bike and 5 mile run. In a field of 378, Wanderers showed great prowess! 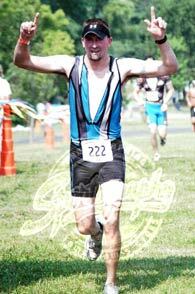 Chris finished 56th overall with a time of 2:30:07. 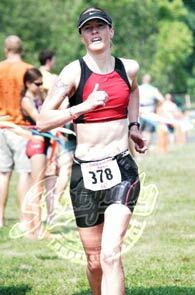 Polly was close behind finishing 3rd in her age group in 2:34:08. Matt finished a strong 13th in the Clydesdale division in 2:56:10. Overall, the race was a tough one. Wetsuits were not allowed in the swim due to the 83 degree water temperature. After a challenging stair climb & run from the lake to the transition area, Chris, Matt & Polly were all in the transition area at the same time! Their bikes were easy to find due to Matt thoughtfully providing them with helium balloons to tie to the bike racks. The bike course was hilly with several hairpin turns & one especially steep climb. Carnage lined the course as there were several crashes on turns. Wanderers persevered & were able to cheer each other on for the out-and-back run (which was hot, hot, hot!). The greatest thing was the volunteers spraying all the participants down at the finish line with a cold hose! Aaaaaahh! Sharon picks up 1st place in her age group and a trip to World’s !! Alex ears 3rd place age group honors and a trip to World’s !